I have been skiing since I was 6 years old. I was an elite ski racer for nearly 10 years and I have coached for EU for 3 years. What I like most about coaching is helping people progress in the sport and finding more enjoyment from this activity. 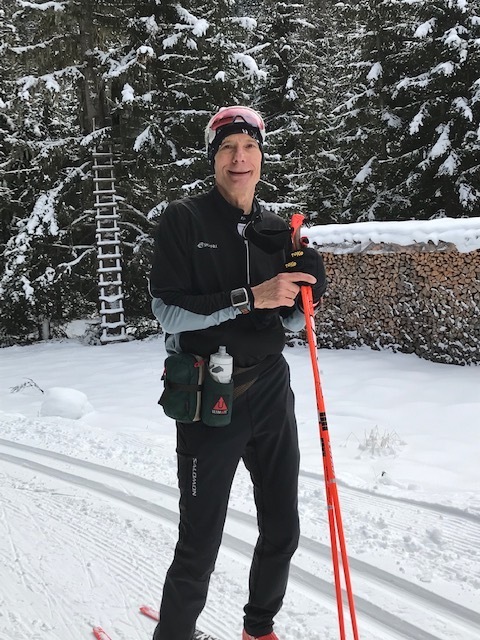 I have been cross country skiing for over 35 years and have 16 plus years of Masters Cross Country Skiing coaching experience, coaching along side some very reputable people within the skiing community. As a teacher of technique, I also incorporate some intensity and strength into every training session. I listen to the athletes and will adjust the training session as needed. Most importantly is I love Cross Country Skiing, and love to share my love with other skiers. I skied at Gustavus Adolphus College and have been coaching with EU since 2011. The best part of coaching for EU is that my group has become like family. I always look forward to having new faces and long time stalwarts. My main goal for each workout session is that it can be done by anyone from a recreational intermediate to an elite wave Birkie skier without losing the feeling of being part of one group. Britt loves coaching as another way to share her love of the sport with those who are on their way to becoming skiers and those who have been for decades. She started skiing with her parents and continued with the local youth ski club, Elk River High School, Minnesota Biathlon, the College of St. Benedict’s, and the ETH ski club in Zurich, Switzerland. She has two long term goals-becoming a Birchlegger and seeing more skiers flying down the trails with big smiles on their faces. 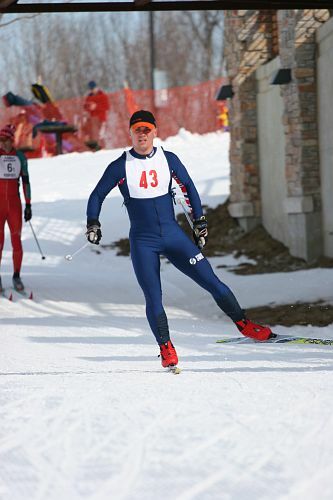 I began cross country skiing in 1971 and I have been training with EU since 2011. My first race was in 2012 and I am now a Worldloppet Master. I am a level 100 coach and I have been coaching the adult learn to ski classes since 2016. It is so exciting and rewarding to see how much progress is made by each of the adults during the 5 weeks of classes. I love the outdoors, I love being active, and I love winter; so nordic skiing is a natural fit. It all started when my boys were 3 and 5 and we were looking for something to do on those long winter Sunday afternoons. We found MYSL (Minnesota Youth Ski League) which kicked off a family passion for cross country skiing. 16 Birkie’s, 10 World Loppet races, and 7 years of chaperoning high school ski events, I still love it and the local ski community that are now my friends. I have been a coach for the Learn to Ski program for the past two ski seasons. As a parent and now also a grandparent of xc skiers, I have enjoyed helping them learn and embrace the sport. It has been fulfilling, as well, to assist adults who want to improve their skills, many along with their children, who participate in one of the MYSL programs. My experience as a coach includes working with both high school skiers and adults through various training programs in the metro area. My skills were honed by the many great coaches I have worked with over the past 30 years. In addition to coaching, I have participated in a number of local, national, and international ski events over the past many years. Cross country skiing is my passion. Julie was first introduced to Nordic skiing in high school while participating on the Roseville Ski Team. Her passion for outdoor activities has grown through participating in EU adult classes as well as coaching EU Trail Kids mountain biking, trail running and orienteering, and skiing, and Women’s Mountain Biking. She has also returned to her alma mater to assist with coaching the ski team. Julie has her level 100 Nordic Ski Certification, Bicycle Instructor Certified Program Level 1 Certification, and serves on the Endurance United Board. Julie loves seeing people of all ages and abilities being active and enjoying the outdoor trails. Scott “Bjorn” Cummings is a Special Education Teacher for a school district in the West Metro. Bjorn picked up skiing “late” after he graduated from the University of Minnesota-Twin Cities in 2012. He earned the nickname “Bjorn” from his family friend coach when he was wearing a Bjorn Dahlie ski jacket and struggling to learn the technique. 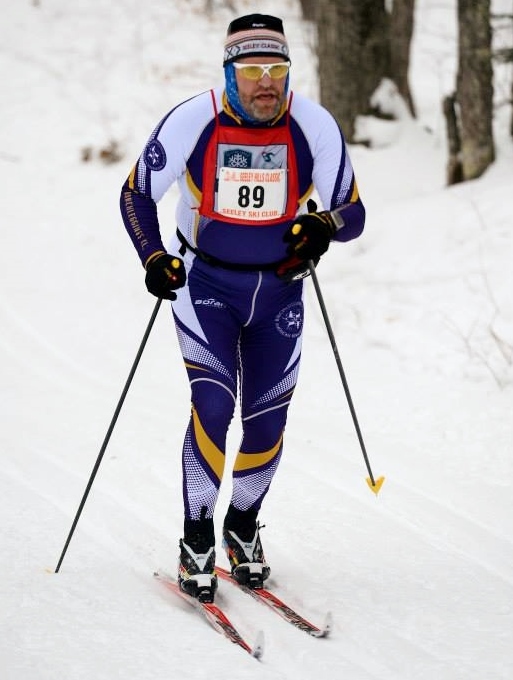 Bjorn is training for his 5th American Birkiebeiner and other ski races in the Bold North. He enjoys an active outdoors lifestyle and has a bucket list goal of racing in the Norwegian Birkiebeiner from Rena to Lillehammer. When he is not skiing or teaching, Bjorn enjoys spending time with his border Terrier dog dubbed Babe Ruth, cooking, and watching sports. Bridging Program Coach, Juniors Coach. Katie skied for Hayward High school for three years, followed by five years of skiing for the University of Wisconsin-Green Bay. She now attends Winona State University and is pursuing a Master’s degree in Counseling.